Here's where to watch every episode of The New Avengers season 1. Mouseover or tap an episode to see where to stream it. Click or tap the play icon to stream it on the best available service. House of Cards Oct 29, 1976 When Steed has a hoard of screaming teenagers rescue his intended victim, spymaster Perov seemingly commits suicide. But days later his system of sleeper agents, the House of Cards, activates, and Steed, Purdy & Gambit find themselves fighting trusted friends. The Last of the Cybernauts ...?? Nov 5, 1976 When a double agent called Kane is horribly disfigured in a chase, he vows vengeance...and calls upon the powers of a force who has tangled with Steed and his associates twice before: the Cybernauts. Creations of a misguided and imbalanced scientist, Dr Armstrong, these metallic menaces in both their attempts were stopped by the suave Steed and the inimitable Mrs Peel. However, this time they are being manipulated by an even more malignant force, and Steed and his friends enter into great danger in an attempt to stop the Cybernauts one last time. The Midas Touch Nov 12, 1976 The terrific trio come up against Professor Turner, a scientist with a lust for gold, and his protege Midas, whose touch is deadly. Cat Amongst the Pigeons Nov 19, 1976 The warning of a dying man tips Steed off that ecologist Rydercroft is to be killed at noon. All plans are taken to protect the man's aircraft but it still crashes. 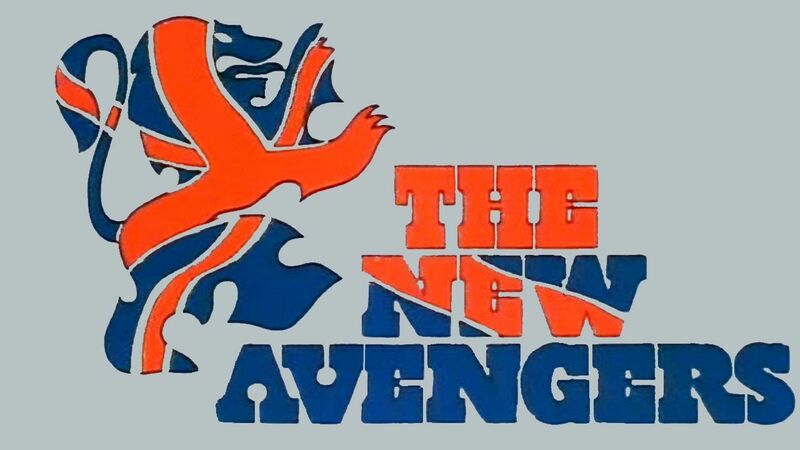 Soon the Avengers come up against a new breed of enemy. Target! Nov 26, 1976 In an attempt to break Steed's perfect shooting-range record, Purdey tackles the range with all her grace and skill. However, it's not enough as she misses one tiny percentage and gets hit with a mark. But other agents begin to die who have performed similarly, and Steed and Gambit start putting the clues together and find that they must work fast to save their friend and colleague before she succumbs to a nasty poison. To Catch a Rat Dec 3, 1976 A strange message alerts Steed, Purdey, and Gambit to something strange going on. While Steed does his own research, Purdey and Gambit set out to help shed some light on the situation. However, the reality of the case is that due to a seventeen-year-old open case and a bout of amnesia, the legendary traitorous White Rat has at last begun to operate again. And Purdey is in imminent danger from her own romance. The Tale of the Big Why Dec 10, 1976 Released from prison after 9 years for spying, Burt Brandon heads straight for an abandoned well near Neverton containing unspecificed secret information. He is soon killed by 2 agents but has managed to post a package to his daughter. Steed recovers the package only to find it contains a pulp Western ""The Tale of the Big Why."" Faces Dec 17, 1976 A bizarre series of deaths of high-ups in the government becomes the business of Steed and his colleagues when a personal friend of his becomes one of the deceased. However, due to suspicion from the delicate nature of the case...apparently people are being duplicated by an unscrupulous firm...Steed, Purdey, and Gambit all go off on their own and make individual progress into the case. However, it seems that the situation is too far-reaching and confusing for each alone. They must work together and figure out quickly, who's who and what's what, before they themselves become the next targets. Gnaws Dec 21, 1976 2 scientists are developing a new growth drug which could end world famine. Unfortunately some of the drug has been flushed down the sink resulting in something nasty in the sewers. Dirtier by the Dozen Jan 7, 1977 Gambit tries to meet Travis, a man carrying some secret film, but he is killed before handing it over. Sleeper Jan 14, 1977 Having witnessed a test on a new sleeping gas called S-95 & thus made immune to its effects, the Avengers awake one Sunday morning to find the whole city of London asleep and an open house on the city's banks and jewellers. Three Handed Game Jan 21, 1977 Steed's plan to have 3 memory experts memorise a third of each of the Allied defence plans for courier purposes seems to have been a perfect success until Juvenator arrives with a machine capable of draining minds.